The R&B of the 90s and early 2000s is always looked upon by our generation as one of the best times in R&B music period. We covered some great artists on the site from that period like Silk, Jodeci, Ginuwine, Usher, Dru Hill, and countless others. Today, I wanted to look back at an album that I feel is classic, Sisqo's debut solo album Unleash The Dragon. The album begins with the higher energy title track, assisted by a verse from Beanie Sigel. The title track is a bit cheesy, but still infectious regardless. The same could be said for the next track "Got To Get It", but once again, it's so catchy and infectious that you can't help but sing along. 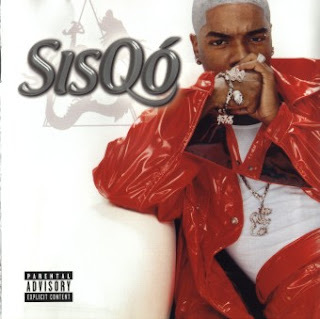 Sisqo also infused comedy in his solo songs, bringing a bit of charisma to a genre known more for seduction and love. The mood slows down for "Is Love Enough", one of my favorite songs on the album. "Is Love Enough" essentially asks the question "can you stay with me through the good and bad? ", and Sisqo creates a classic track here. The interlude "2Nite" leads up to the very sultry "How Can I Love U 2Nite", but I'd be lying if I didn't admit that I find the interlude absolutely hilarious. However, the song itself is amazing, as Sisqo floats easily over a smooth and seductive track. Definitely one of those songs that fit right onto a late night playlist. My personal favorite song on this album is the bouncy "Your Love Is Incredible", which is another infectious song that infuses comedy(possibly unknowingly), but the song is definite fun. That's the beauty of the album honestly: it infused fun, comedy, seduction, anthems, and ballads all together. Not many R&B albums could complete this feat, but this album does this perfectly. The Babyface written and assisted "So Sexual" is another catchy late night ballad. The song is infectious and could fit right on those playlists for when you want to get your lady in the mood. Of course, the all time classic "Thong Song" follows and while the song is absolutely stupid, it's mindless entertainment at its very best. It was also a huge staple in pop culture, leading most people to reference thongs a lot more often, not only in music, but in general. It sparked a wave of women in thongs more, and for that Sisqo, we are forever grateful. The Montell Jordan written "Incomplete" follows, with Sisqo creating yet another classic, singing out his heart to the woman he misses and doesn't want to leave him. Following up that track, he hits with the smooth track "Addicted", which is another favorite of mine. After this, he brings Dru Hill in with him to close out the album on "Enchantment Passing Through" and on the "You Are Everything Remix", which was one of my favorite songs back during its release(even Ja Rule's verse was entertaining). Sisqo sold almost 6 million records and created a classic here and sometimes it gets overlooked just a bit. Revisit the album and enjoy.